On 31 October 2014 the Supreme Court refused leave to appeal in two cases of public importance relating to flight compensation – Huzar v Jet2 (EWCA Civ 791) and Dawson v Thomson (EWCA Civ 845). The judgement brings to an end two long-running flight delay cases and shall be used by courts across the country as a source for future decision-making. The decision in Huzar v Jet2 allows passengers whose flight was delayed or cancelled to obtain compensation even when an aircraft was held back due to routine technical problem. The airlines’ most used defence has now been made redundant. 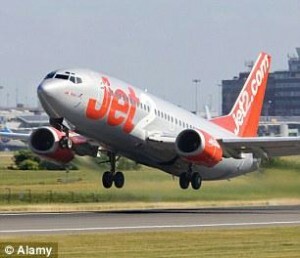 In this case the court ruled that Ronald Huzar was entitled to compensation from Jet2 after his flight from Malaga to Manchester was delayed for 27 hours due to a technical fault. Jet2 had claimed that technical defect of an unforseaeble nature constituted an “extraordinary circumstance”, however the court of appeal rejected this contention. The High Court’s decision in Thomson Airways Limited v Dawson has confirmed that the law of limitation giving passengers in England and Wales 6 years to make claims for compensation against the airlines is now a good law. The judgement enables passengers with historic claims dating back to 2008 to pursue their claims. 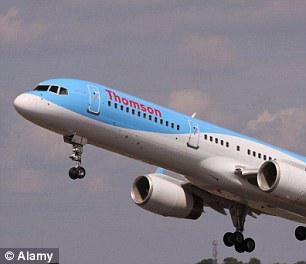 In the Thomson Airways Limited v Dawson case James Dawson, pursuing compensation due to a six-and-a-half hour delay of his flight from Gatwick Airport to the Dominican Republic in 2006, had not filed a claim until 2012.The airline stated that claims for compensation must be made within two years of the flight, but the court ruled in Mr Dawson’s favour. The Supreme Court’s decision means that compensation for problematic flights is now open to millions of passengers who previously submitted claims to the airlines but have been turned down on the grounds of a technical defect or limitation. According to Regulation (EC) 261/2004, passengers may obtain compensation of €250, €400 and €600 if their flight was cancelled or delayed by more than three hours. The compensation value depends on the distance travelled. Other rights the passengers have are: rebooking for alternative flights, meals and refreshments, accommodation and transport. If the airline did not offer any of the above, the passengers may claim reimbursement of these costs if they incurred them. Following Huzar’s decision British Airways paid 600 euro which they owed me since 2009! They claimed that the technical defect was beyond their control and unpredictable. If not Fly & I, I would give up and wouldn’t pursue my claim.